A charity is taking Network Rail to a tribunal over the money offered after the compulsory purchase of a bridge to carry the new Borders railway. 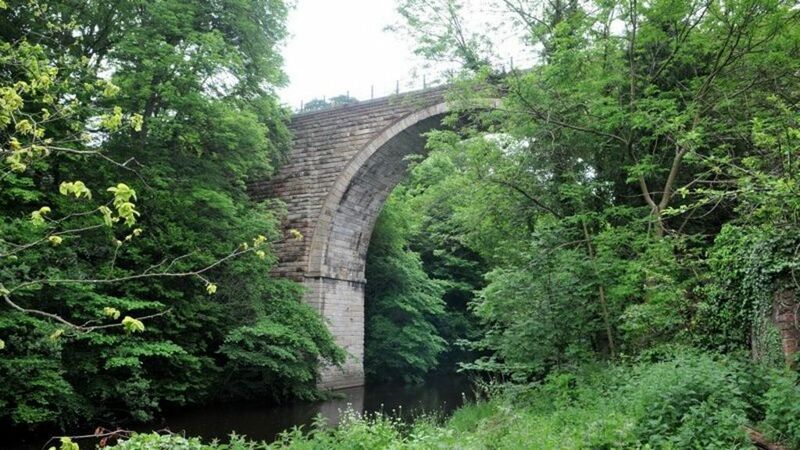 The Edinburgh & Lothians Greenspace Trust has been offered £10,000 for the Glenesk Viaduct in Midlothian. It says that 'woefully undervalues' the £300,000 it spent on preserving and maintaining the structure. A Lands Tribunal hearing in Edinburgh, scheduled to run over two days, will examine the claim. The Edinburgh-based organisation bought the viaduct in 1992 when it was under threat of demolition and turned it into a walking and cycle route. A charity takes Network Rail to a tribunal over the money offered after the compulsory purchase of a bridge to carry the new Borders railway. The view south over Glenesk Viaduct from the hillside on 22 February. The Dalkeith branch left the Waverley route at Glenesk Junction on the far side of the viaduct.